I wrote a series of introductory WPF articles on the CodeProject. The goal of those articles is to bring someone with no WPF experience up-to-speed enough so that (s)he can fully understand how the series’ demo application works. This page serves as a table of contents for that series. Thanks for the set of articles. Have been looking around for a quick and easy way to get up to speed on WPF and your articles are the best thing I have come across on the Web. You should consider writing books. Indeed, the stuff is topical is definitely well-structured. Nice job Smith. Nice job. Indeed its a very helpful work you did Smith. Parhaps I should be honest to thank you as I was really wondering for some kind of introduction to WPF coding stuff, but not going into the hassles of reading tons of material. And I found it here… a quick and fast start. Thanks Smith. indeed you did a great job ! 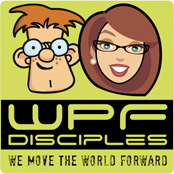 i am a student and i can not express how much your articles helped to get my hands on WPF ! Hi josh there any way to subscribe to you wpf/e blog. I really like you writing .. and will be happy to learn from you. I also got Avery unsolved problem view xbap deployment. you can check him here by nick name epsilone3. so you got my mail you can subscribe me automatically. Thanks for taking the time to do this. This is the best introduction to WPF I’ve seen. Fantastic work! You might want to fix those links, codeprojects changed the URLs to those articles. I found out after trying google cache and archive.org. 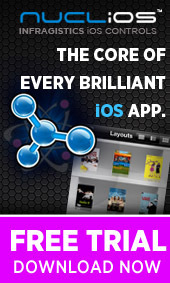 Sure would help visitors of your site. codeproject.com/WPF is now codeproject.com/KB/WPF, and the articles have an aspx extension now. Thanks a lot for pointing that out! Most appreciated. But again, great job on the article and I’m really starting to become a fan of your work. Great article! Applied xaml and data binding reading to the WPF library I downloaded from nextwavesoft.com. I want to create gradient maker like in blend. i want to use it insted of color picker. i will be very thankful to you if you can help me in this regards. 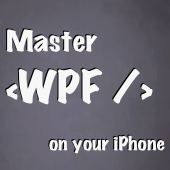 Hello Josh, I have seen all the WPF tutorial articles you have uploaded on codeproject.com . Great job and has been very helpful to me too. Am like totally new to this WPF thing though i have some experience in Windows Form Applications. I would like to create the applications in WPF which i create using windows forms. For the time being i am unable to to get any good tutorial on viewport 3d or on how to flip controls in 3d. I have no experience in XAML at all… please help me out! can you help me of this. and Generate outomaticaly sutible Levels For each Nested Object. I don want to use HirarchcalDataTemplate. I’ve been using ASP.Net / MVC my entire career, and just made a shift toward Silverlight and these articles have been great. Very informative and well structured, helped me get up to speed very quickly. I tried to use “Animating Interactive 2D Elements in a 3D Panel” with database connection. but unfortunately I am not able to do the same. can you help me to get out from it ? I tried to assign values from datatable, but it does not reflect… it only work with the data what i have assigned at design time with xml source. I am doing something very similar to what you are doing but am seeing something odd, perhaps you are as well. When I switch between various viewmodels, I get a new instance of the view. For example, I have a ListView of IMyViewModel objects. I then show the selected object in a ContentControl. So, if I switch from MyViewModelA to MyViewModelB and then back to MyViewModelA , the constructor of the MyViewA control would end up being called twice. I expect my users to be switching b/w controls/VMs very regularly and don’t want a bunch of old controls sitting around for each view model I instantiate. Anyone have any idea why this may be happening? That’s exactly what I’m looking for. Thanks for the training articles. That’ll be great if MVVM is included. 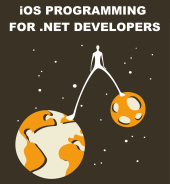 Can you please help me explain how ro crack vb.net/c# application? I used .net reflector but I think the code are protected.